Super Mario Advance 4 (AKA スーパーマリオアドバンス4 Suupaa Mario Adobansu fou in Japan) is an enhanced GBA port to the 1988 version of Super Mario Bros. 3 first released on the NES. While it pays homage to the cult classic, all the clamor for this port comes from its inclusion of 38 e-Reader exclusive levels and minor tweaks that complement the solid mechanics behind the platformer gameplay. As an added challenge, each stage contains collectible coins located in various spot. Getting them all provides a degree of difficulty, but gives completionists a sense of fulfillment for their accomplishments. The coins are now scattered more reasonably than before, so it’s normal to expect a few surprises here and there. 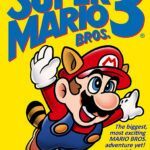 Along with the returning power-up system that allows you to play as a racoon or a frog, there is more depth to the challenge as compared to the previous Mario games. Super Mario Advance 4: Super Mario Bros. 3 now allows you to save at any point in the game, a feature that makes the game more accessible to the casual gamer. Overly loyal fans may complain that this cheapens the thrill of the game because it does spare you from a lot of frustrating deaths. Given all the unfair gimmicks, this will definitely save you hours of wasted time from replaying levels. Unfortunately, the added scope in the game hampered by several hardware restraints. To unlock the extra levels, you needed to own a separate e-Reader device, a second GBA handheld, and link cable. This feature is incredibly inconvenient to use, and is the biggest blemish on an otherwise brilliant game. If you’re looking forward to playing the miscellaneous content, your best bet is to get the Wii version instead. Even up today, Super Mario Advance 4: Super Mario Bros. 3 is deserves praise for one of the best platformer games during its prime. The port is just a further testament to the series’ fine gameplay design that has aged well compared to most games. 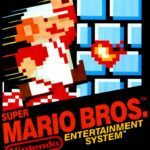 If you want to experience a well-rounded package of Mario with unique level designs that stand the test of time, this enhanced port is for you. 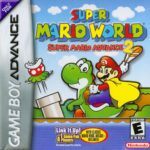 Super Mario Advance 4: Super Mario Bros. 3 game has been ported to Game Boy Advance (this version), NES (original version), and SNES (All-stars).